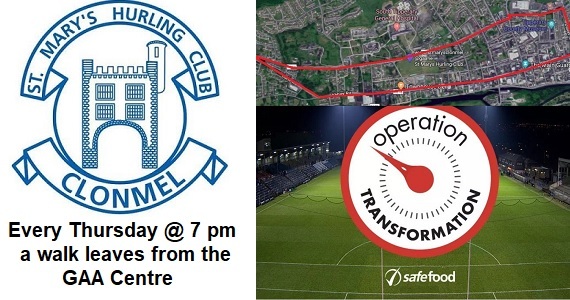 Operation Transformation – healthy walk is back again this Thursday night. Make sure to get the whole family out & enjoy the healthy benefits and fresh air. Every Thursday @ 7 pm from the GAA Centre, Family groups and individuals are welcome.